I believe a strong community to be backbone of a successful cryptocurrency. Therefore I have started to collect community stats on different cryptocurrencies. 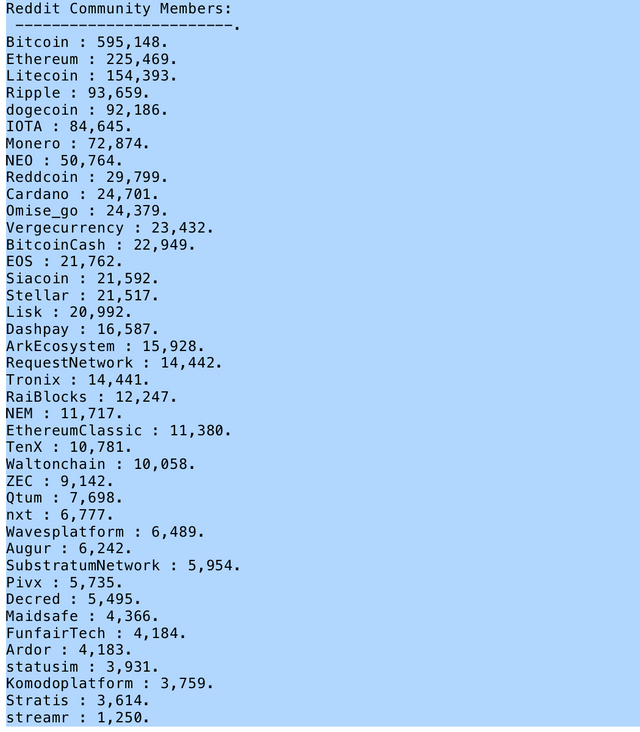 First of all, I am collecting Reddit Subscriber Count for the popular cryptocurrencies. Here's the latest list. Does any coin surprise you? Maybe this will help you make your next investment. This is the Subreddit members for today. Did I miss any coin? Do you want me to track any other coins? Let me know, I will be updating this list regularly.